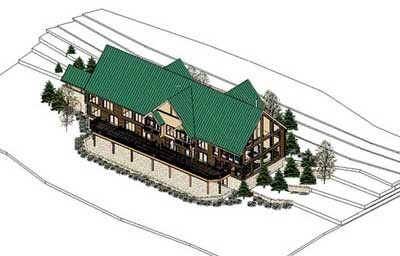 Required connection to the existing lodge. Carey J. Stanly was the team Architect that represented Advanced Relational Technology, developers of Chief Archietect at the fifth annual CAD Shoot-Out 2000 in Washingto D.C. This is a world wide competition that is open to any architecture firm or architectural software developer. Teams consist of three members, using any two networked computers, of their choice. 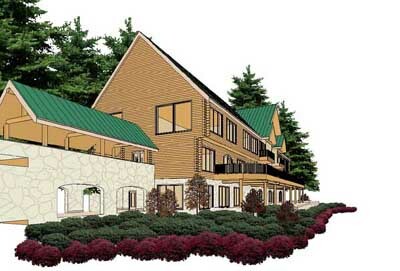 The architectural charrette consist of a hypothetical project that remains sealed until the start of the competition. 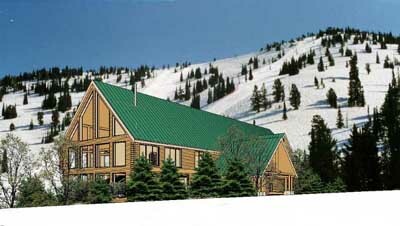 The Shoot-Out 2000 project was a small convention'conference center in Aspen Colorado. 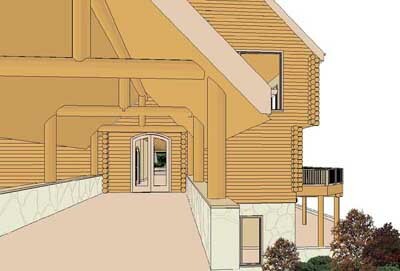 Each team has three hours to produce the most complete set of drawings that include a list of required objects, conditions and drawings that should be satisfied. A 30' x 30' screen projects the work of each team for the sudience to view. At the end of the three hour work period, all drawings are collected for presentations the following day. A jury of noted archtects, educators and architectural critics observes the entire process and submits a critique of the work. 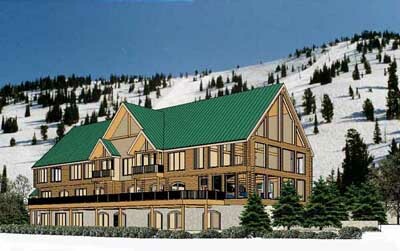 Required connection from the existing lodge. 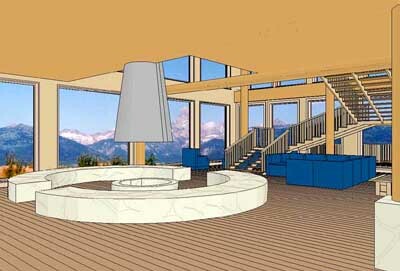 Required centrally located round fireplace with "U" shaped stair and views of the mountain.